My least favorite plant as a child, poison ivy has been the focus of more than just the miserable skin rash that some have endured. It was also a 1959 song recorded by the Coasters (I remember 45’s). Poison Ivy in the song was a temptress and code for a carrier of a sexually transmitted disease. Perhaps the song was the inspiration for the fictional character in DC Comics, Poison Ivy, Dr. Pamela Lillian Isley, an enemy and interest of Batman. Rhus radicans (Poison Ivy) and Rhus toxicodendron (Poison Oak) are well known for their production of urushiol, a plant resin that causes mild to major skin irritation. The remedies of the 60’s were primarily white shoe polish, oatmeal baths, and a good mopping of calamine lotion. Failed plant identification in emergency situations with children in the woods could result in a rash in places the sun does not normally touch. The homeopathic, Rhus tox 30C has been used both as a preventive or treatment for poison ivy. It is also used for the relief of joint inflammation and stiffness. Another use is the treatment of shingles in the blister stage. 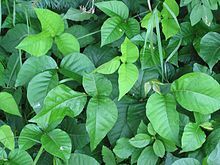 If exposed to poison ivy you can use Tecnu as a wash to remove the oil. My all time favorite remedy is Cortsym Gel by Natural Creations.